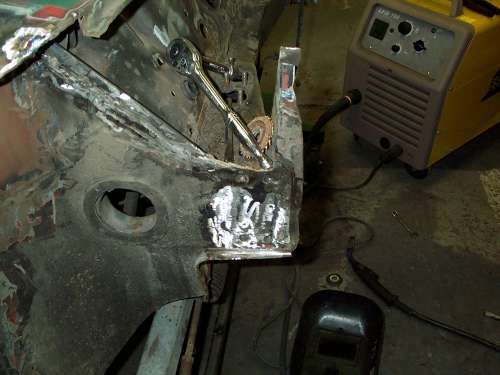 The drivers side panels were treated in the same way as the passenger side, the rusty panels were cut out and new metal was welded in. The inner wings had been cut back as I am going to fit a flip front. The top edges of the remaining part of the wings were strengthened with some mild steel flat bar that was cut to shape and welded in. 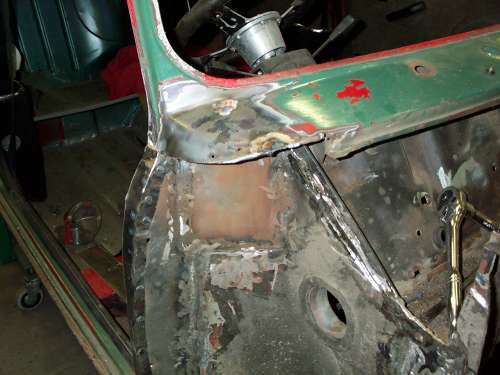 The next step will be to remove the car from it's trolleys and roll it onto one side to start on the sills.